One amazing day, on the original Skye tour. 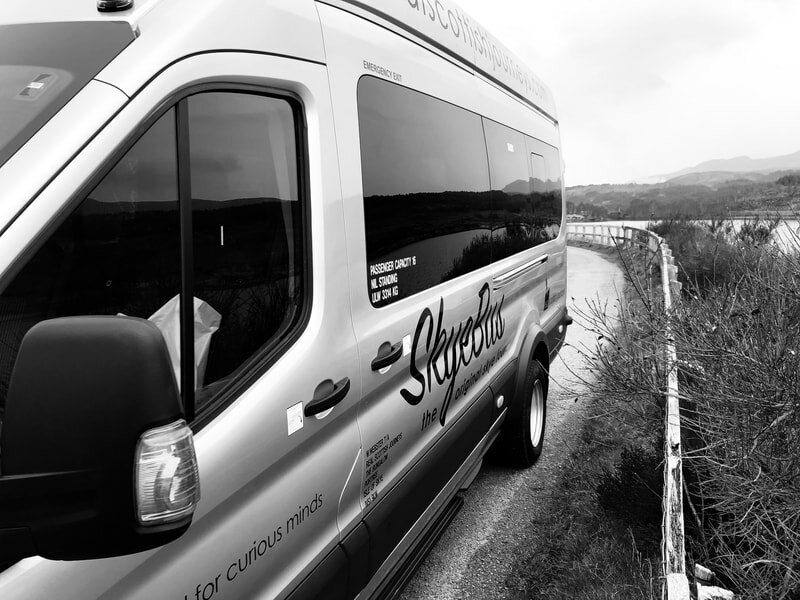 SkyeBus is the original Skye day tour. 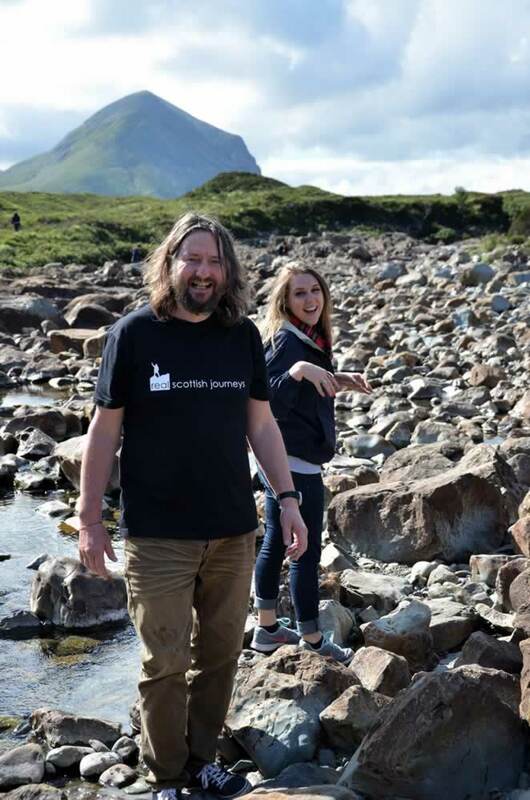 Every tour is packed with stories and legends that bring Skye's remarkable history to life. You will hear about the first people to claim Skye as their home. From the nomadic visitors to the highland landowners that instigated brutal clearances. During that that time islanders were forced from their homes and shipped to the new world in the 19th Century. You will also discover something of Skye's remarkable geological story and learn about the latest dinosaur discoveries on Skye. Our skye tour is the right mix of time on the bus, short photo stops and longer stops which allow you time to explore on your own. Around midday we always stop at a small cafe. You can buy some lunch and have a wee blether with your fellow passengers. This day trip was the highlight of my trip to Skye.Went to the Fairy Pools,which was a good hike,there and back.Neist Point and the lighthouse was also a good hike.The Quiraing,Kilt Rock and The Old Man of Storr were excellent photo stops.Take this trip,you won't regret it. ​Also available Feb to March as the 1 Day Winter Tour. 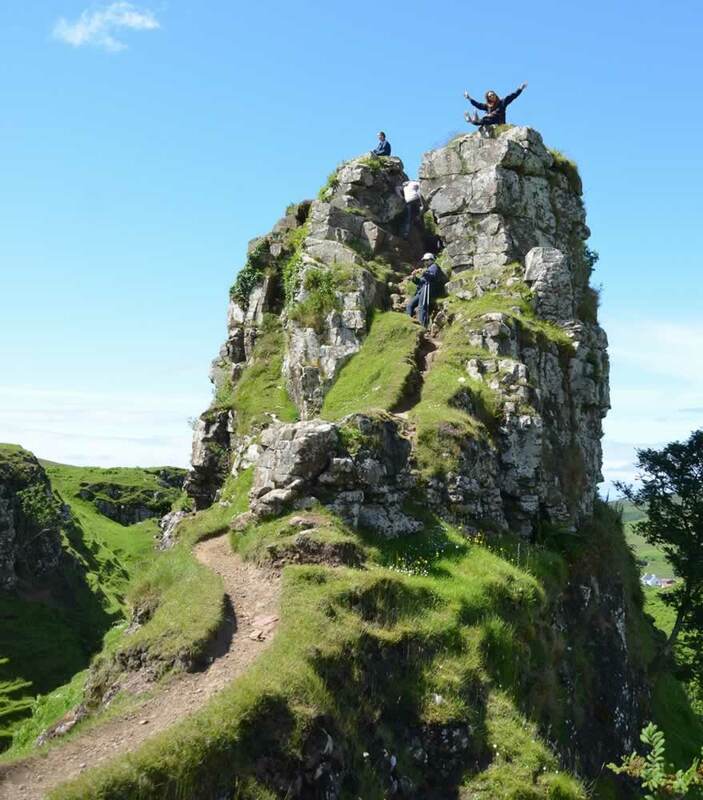 The Fairy Glen: This is a magical miniature landscape with a fascinating geological story. There is a long tradition of story telling in Highland Scotland. This is the perfect setting for a fairy tale. Take some time to let your imagination wander. Kilt Rock: Kilt Rock is the best known and most photographed sea cliff on Skye. 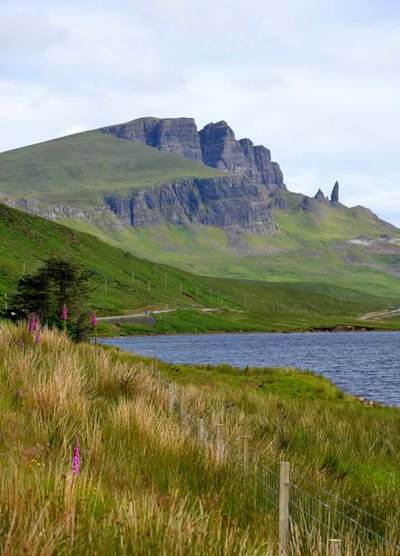 It is just off the main road in north east Trotternish, between the Storr and the Quiraing. Using a wee bit of imagination, it looks a like a kilt. Vertical columns of basalt form the pleats of this giant highland kilt and dolerite intrusions form the pattern. From the view point you can also see Mealt Falls tumbling 55m in to the sound of Raasay below. The wonderful Black Sheep Snackie lives there in summer months serving tea and coffee. 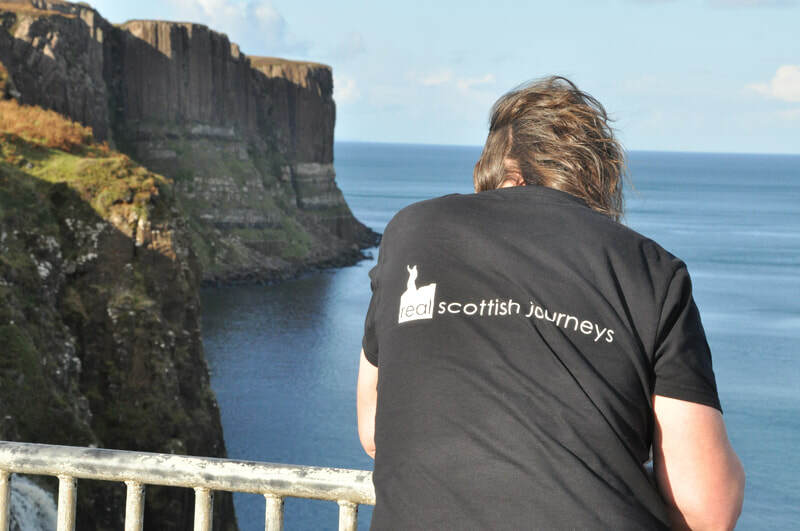 A short, fun photo-stop to see these wonderful basalt cliffs... that really do look like a highland kilt from every angle. 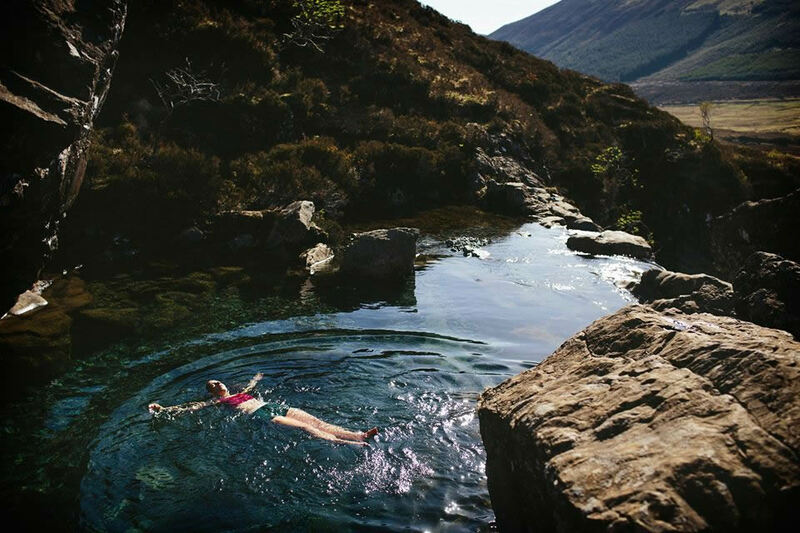 Fairy Pools: Walk on your own to clear blue pools ... maybe dip your toes with spectacular views of Cuillin mountains. 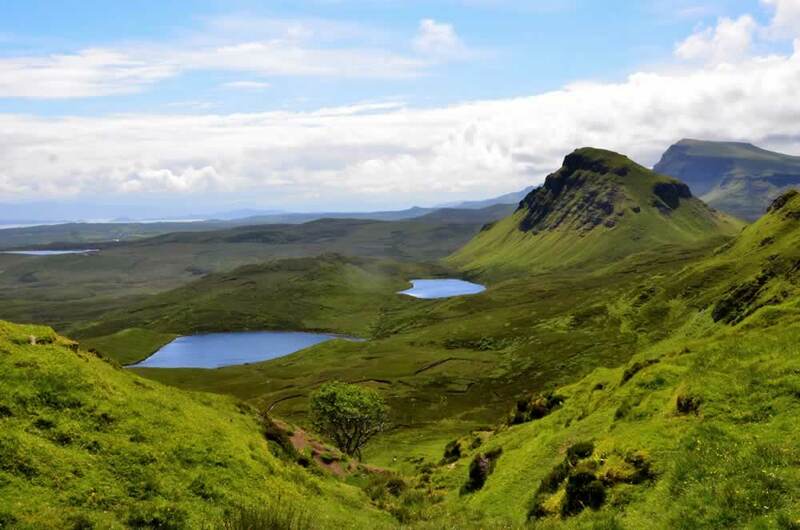 Quiraing: Drive over the pass that defines northern Skye ... step off the bus for a moment and be amazed ! Neist Point: Neist point is the most Westerly point on the Isle of Skye. The single track road to Neist Point winds around Loch Dunvegan then over the hills to Glendale. As we approach Neist Point there are stunning views over Moonen Bay to Waterstein Head and on a clear day across the Minch to the Western Isles. It is a great place to see whales, dolphins, porpoises and basking shark. There are thousands of seabirds including, gannets, black guillemots, razorbills and shags. 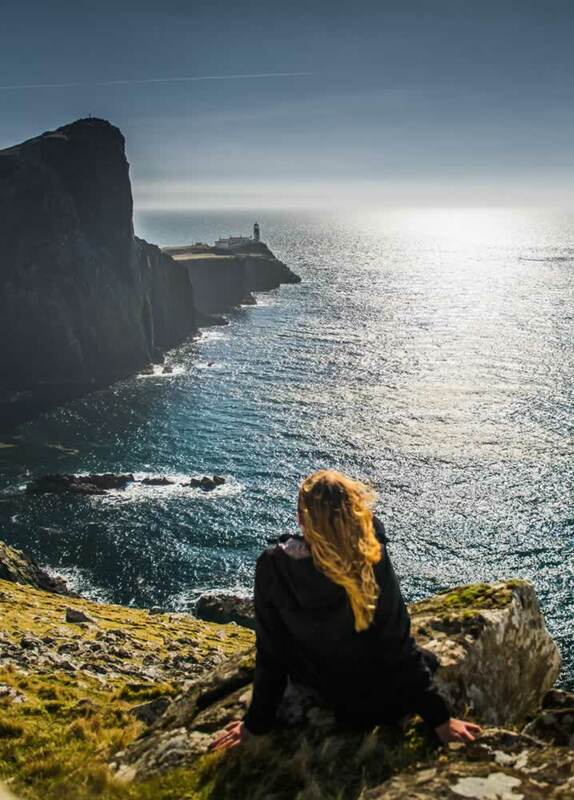 There are several different walks that will allow you to explore Neist Point on your own. You can follow the keepers’ path down some steep steps to the old lighthouse, which was built in 1909. It is still operational, helping vessels, big and small to navigate these treacherous waters. The light from the tower is visible for 24 miles. The lighthouse tower is owned and maintained by the northern light house board. The cottages around the tower are in private ownership and although they may seem derelict please do not be enter. There is a small gift shop at the car park that serves tea and coffee. There are no toilets at Neist Point. Dunvegan Castle (£14) Option: Macleod Castle and gardens option instead of Neist Point. 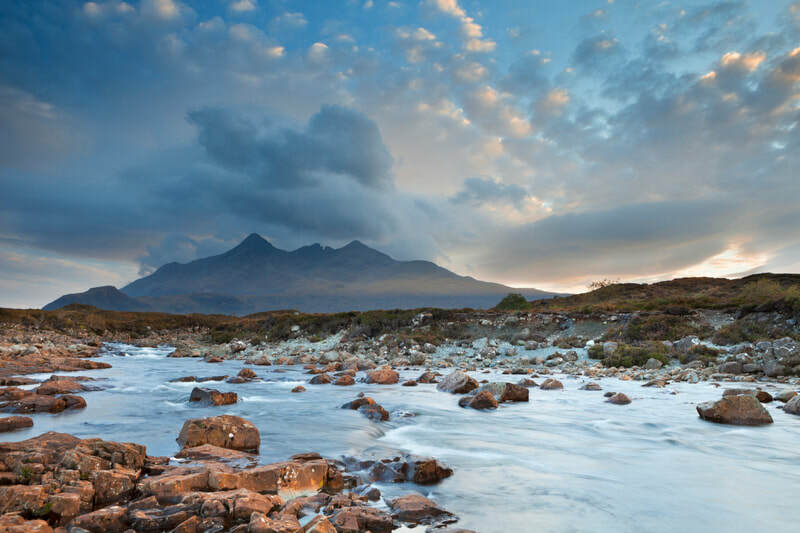 Cuillin Mountains: Photos of the most impressive, inspirational and simply ... the most spectacular mountain range in Scotland! We get back to Portree late afternoon. This is usually around 18.00 - 19.00. Please check with us if you have onward travel plans directly after tour. Please note that this could be the best day out in your entire life ! There is some unguided trail walking on this tour. You can sit out some of the walks or not walk so far. Dress for changeable weather. Please bring suitable footwear for rough and sometimes muddy ground. Waterproofs what ever the season. No need to bring a packed lunch, we stop close to cafes and shops where you can buy lunch. Please bring cash, as some places do not accept cards. Very occasionally it may not be possible for you to walk to Fairy Pools. Heavy rainfall can make the path impossible. If we have to alter the itinerary we always try to offer an alternative.